The Ferguson TE 20 Continental Tractor. 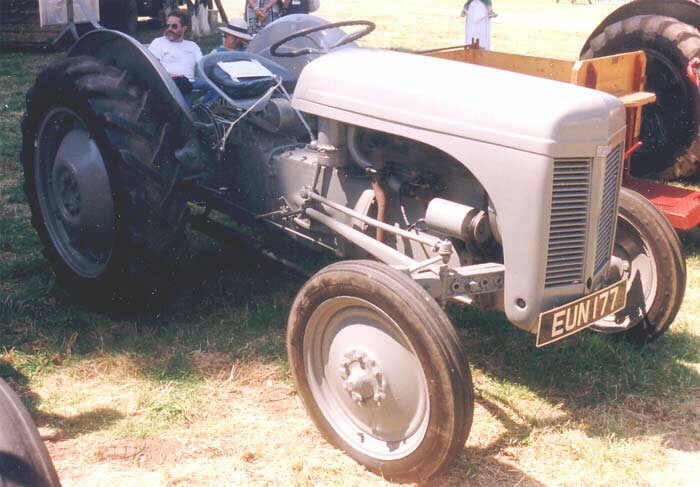 This series was the first of the well known and loved "Gray Fergie" tractors. Production commenced at the Standard Motor Company's Coventry Banner Lane factory in 1946. Due to the export drive and the shortage of suitable engines so soon after Word War II early versions of the TE 20 were powered by an imported overhead valve 24 h.p. petrol engine manufactured by the Continental Motor Co. at Michigan U.S.A. Drive was through a four forward and one reverse gearbox, the starter was engaged by using the gear leaver which made it impossible to start while a gear was engaged. With a 6 volt electrical system the standard starting handle was indispensable.